“My dream is to graduate with my bachelor’s degree and become a data analyst at Walmart,” said Katelyn Hunter. 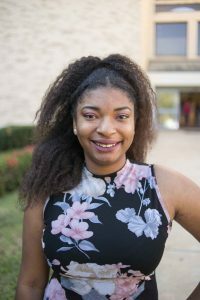 Katelyn Hunter, a Sam M. Walton College of Business freshman, plans to major in Information Systems. Hunter, a freshman at the Sam M. Walton College of Business, hopes to major in information systems. To assist her in reaching her goal, she applied for and received the Wyndell Kyle & LaKeysha Michelle Greene Family Memorial Endowed Scholarship. The academic award provides Hunter with $5,000 per year for four years. “This scholarship means so much to me because it’s taking some of the financial burden off of me and my parents,” Hunter said. 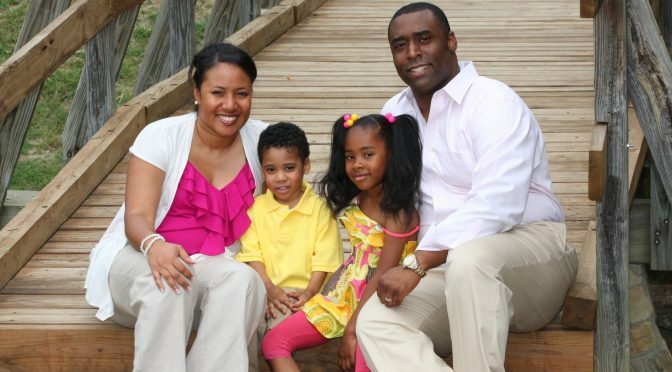 The endowed fund was established in the memory of Walton alumni Wyndell and LaKeysha Greene and their young children, Wesleigh and Kyle, who died as a result of a car accident outside of Dallas in May 2010. The extended Greene family created the fund to honor Wyndell and LaKeysha’s family, their philanthropic views and to support underserved students. 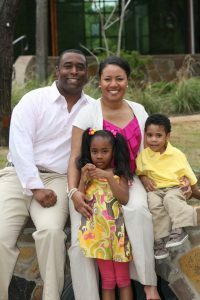 Walton alumni Wyndell and LaKeysha Greene and their young children, Wesleigh and Kyle. Scholarship recipients must have financial need, a minimum 3.0 GPA and 24 ACT score, and be a resident of St. Landry Parish, Louisiana, or Lafayette County, Arkansas – the hometowns of Wyndell and LaKesha – or have attended Walton’s Technology Awareness Program while in high school. Hunter, who attended the Technology Awareness Program in the summer of 2017, was born in Fayetteville but grew up in Fort Lauderdale, Florida. Along with her grades and ACT score, the TAP program allowed her to qualify for the award.